As much as we love our athletes, you’d be hard-pressed to find a fan put their admiration of an individual player above their loyalty to a particular team. In sports, that’s just the way it goes. With free agency and trades, players are now changing clubs like a person changes their clothes. And through it all — most of the time — one constant remains: The team. Whether an organization is winning or losing, a true fan stands by their team. They may not be happy with all the moves being made, but devotion to the shield takes precedence over any sort of frustration a team may cause. It’s because of this support that a franchise’s logo becomes more than just a design. It’s a symbol of the team’s history and when worn by anyone outside the organization, it represents loyalty, devotion, and love for the franchise. We know our teams by their logos. We know the supporters of these teams when they rock the shield. But just because an individual favors one sport over the other, it doesn’t mean they might not be a supporter of their city’s other prized teams. In fact, who knows, perhaps combining different logos would be an even better way to emphasis one’s support. Fortunately for us, we have the opportunity to decide that for ourselves. It wasn’t too long ago when we showed you how the dynamic duo behind NFL Memes — Brandon Hubschman and partner Weis Karzai — formed epic mashups by combining NFL and MLB team logos. 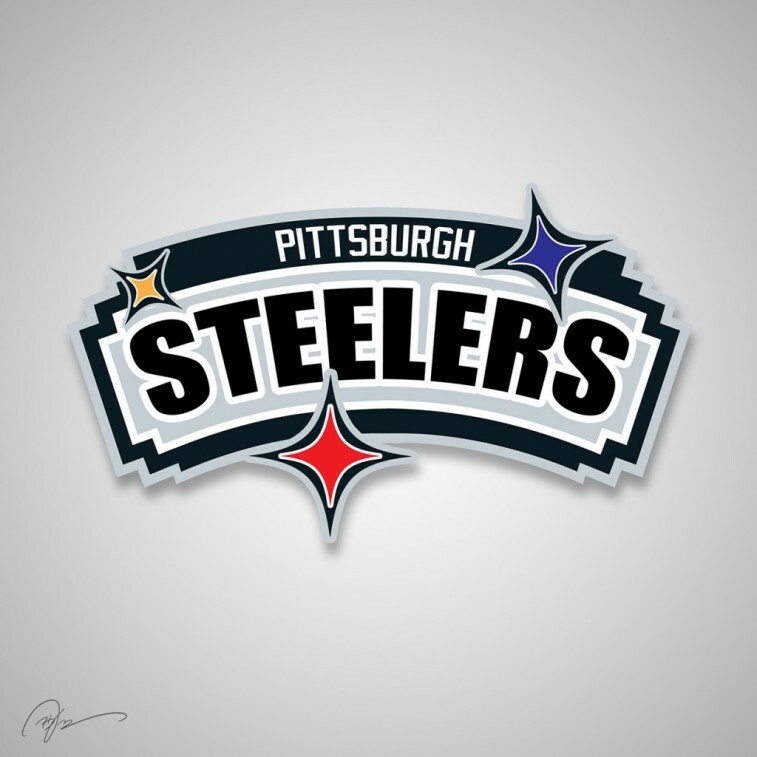 This time around, they’ve decided to fuse NFL logos with the appropriate counterpart from the NBA. Like before, their efforts were displayed on the DailySnark. And we have to admit, we think the graphic designers have outdone themselves this time. There are plenty of mashups to choose from, however, we found ourselves loving a few looks more than the rest. With that, here’s a look at what we feel represent the five best mashups of NFL and NBA team logos. Not everyone finds themselves a fan of the Brooklyn Nets logo. Their loss. After the organization made the move to Brooklyn, it was in need of a shield to match the fresh and hip city the team now resided in. This is exactly why the logo works. The black and white shield is simple and sleek. It feels current and modern, yet also keeps things old-school by paying tribute to the past New York subway signage system. 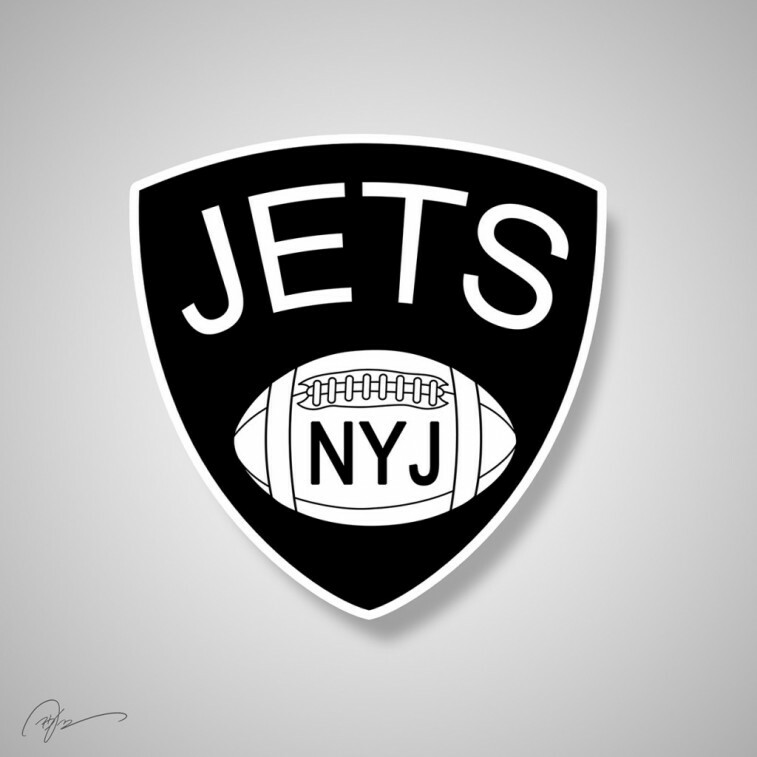 Considering the New York Jets are an organization with a rich football history and a connection to the past, it feels appropriate to incorporate them into “the new badge of Brooklyn.” Replacing the usual “NETS” with “JETS” and substituting a football inscribed with “NYJ” is the perfect well to blend the two organizations. We completely dig this mashup. There isn’t a more iconic symbol in the National Football League than the star of the Dallas Cowboys. The Mavericks, on the other hand, have been using a new logo since the beginning of the 2001-02 season. It’s big and bold and maintains a western theme through the use of a massive stallion’s head with the mane sweeping around what’s usually a basketball. In this particular case, Hubschman only need replace the basketball with the Cowboys star and he’s creatively and fluidly found a way to merge these two franchises together. With an effortless flow, this new shield seems like it could actually work on its own. And when you’re able to make something like that happen, then you’ve earned your due. We don’t entirely love the alternate logo that’s been used by the New York Knicks since the 1995-96 season. We understand it’s intended to be a depiction of the subway token we’ve just never particularly seen the appeal. However, when you remove the Knicks colors and replace them with the red, white, and blue of the New York Giants, we immediately find ourselves drawn to the new shield. 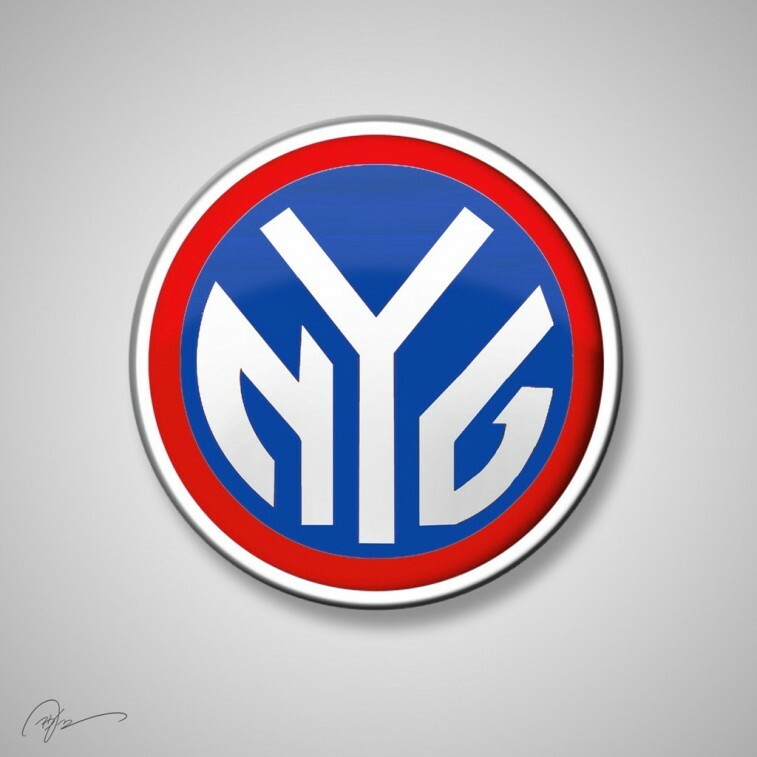 With “NYG” now in the center of the logo, this whole thing becomes a bit easier on the eyes. We could absolutely see this being an alternate look for the G-Men, while simultaneously paying tribute to the Big Apple’s most holy of basketball franchises. This mashup works on so many level. How could we not show it some love? You can’t talk about the Boston Celtics and not reference the team’s insanely popular leprechaun logo. After all, that figure has been associated with the organization for over 50 years. However, just because this particular shield has been given a New England Patriots makeover, that doesn’t mean it’s any less recognizable as part of the Celtics’ heritage. And that’s the beauty in Hubschman’s redesign. 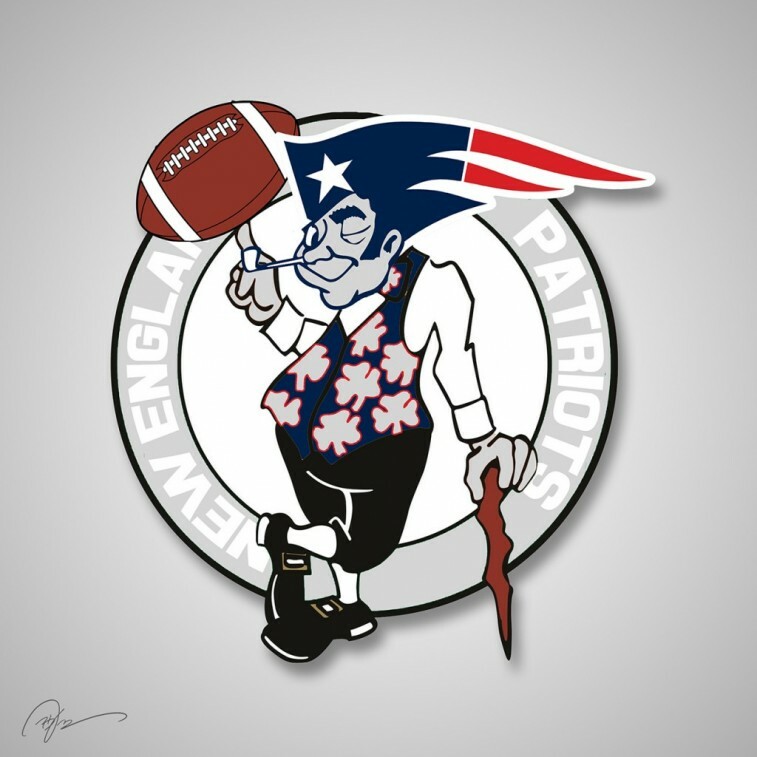 By coloring the logo in silver, red, white, and blue, replacing the basketball with a football, and adding the well-known streaking hat from the Patriots’ shield, you now have the iconic leprechaun showcasing pride for New England’s powerhouse football organization. As far as NFL and NBA mashups go, you’d be hard-pressed to find a more perfect blend than the one used for the Celtics and Pats. 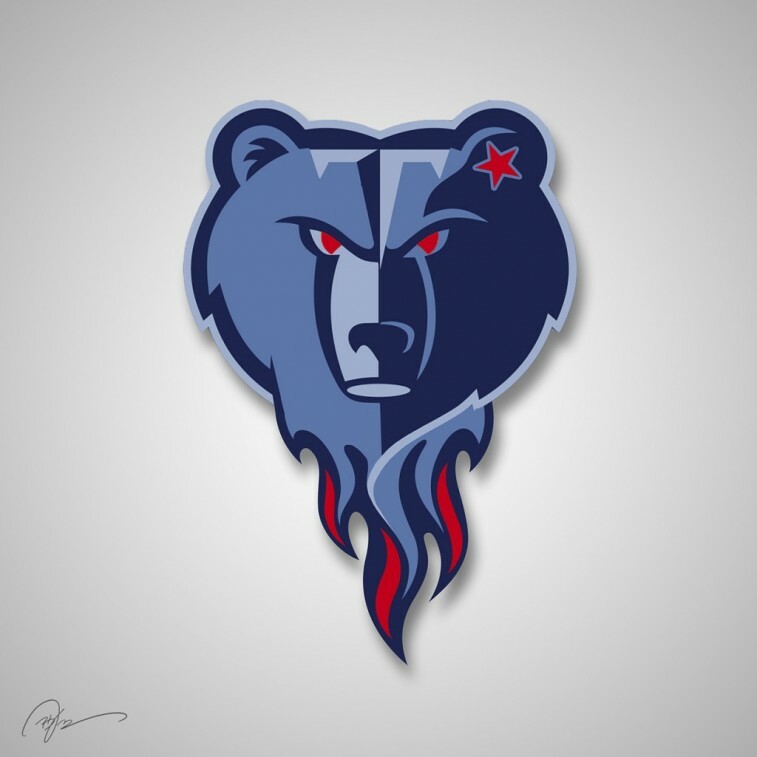 This mashup of the logos for the Memphis Grizzlies and Tennessee Titans, is sharp, bold, strong, and incredibly fierce. By itself, the new-look Grizzly bear has always been a major upgrade from the one used during the franchise’s days in Vancouver. Yet, by incorporating the red, navy, and sky blue flames used in the Titans shield, the above logo becomes instantly more powerful and explosive. We think the star looks super cool in the bear’s ear and we love the intensity that comes with making the eyes red. Out of all the mashup logos in this collection, this one easily stands out the most. And just think, if neither of these organizations ever made the move to Tennessee, we wouldn’t have this killer new design. Mind. Blown. All information is courtesy of SportsLogos.net and Sports Team History. 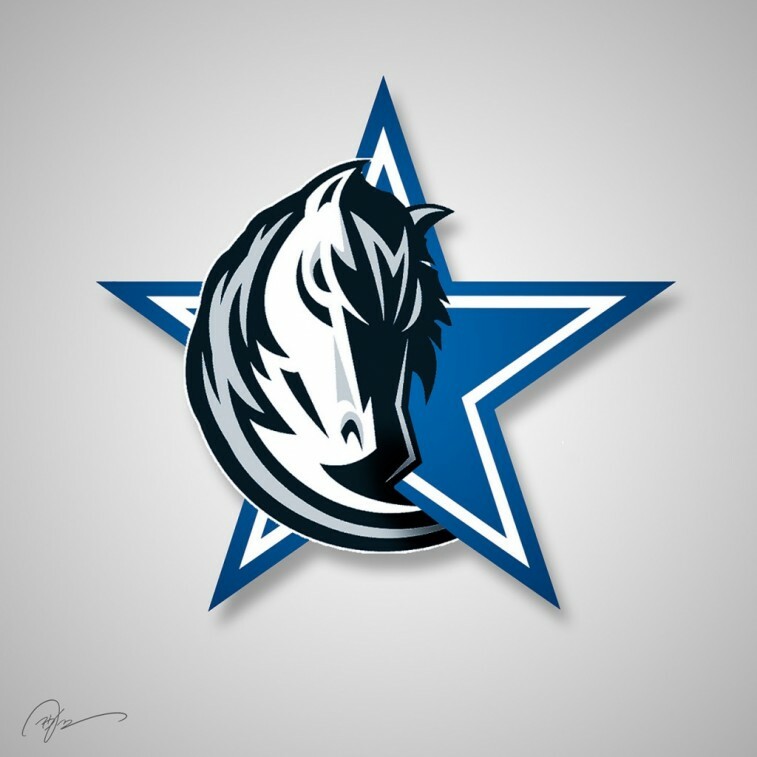 To see the rest of the NFL and NBA logo mashups featured DailySnark, click here.